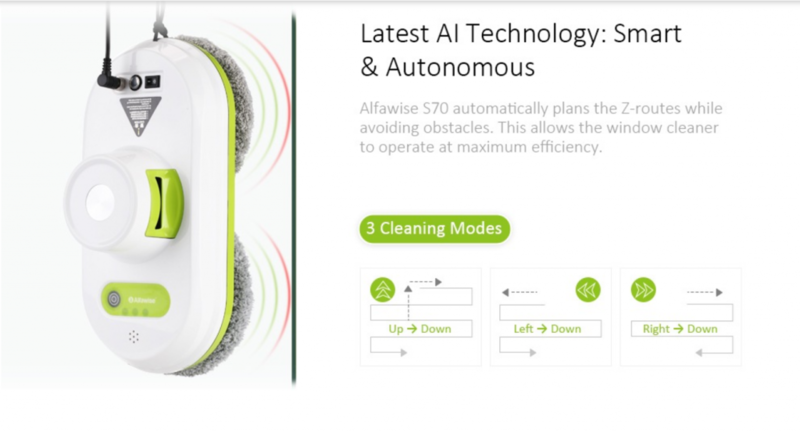 The Alfawise S60 robotic window cleaner smart robot come with a Remote control. 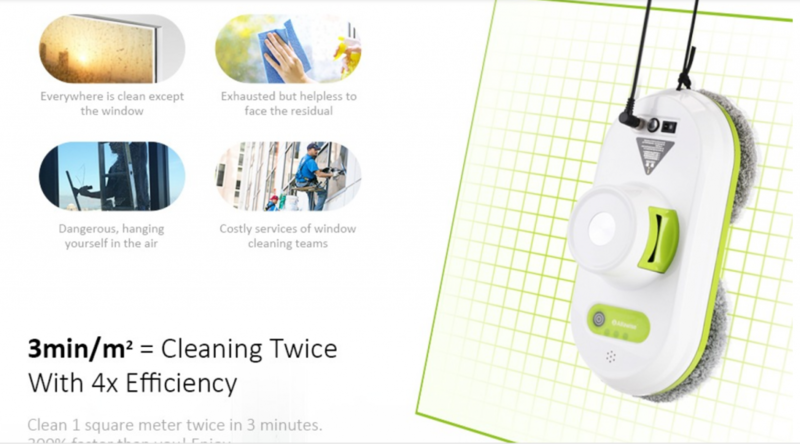 This remote control allows you to direct the location of the cleaner, and possibly make it clean with different patterns. 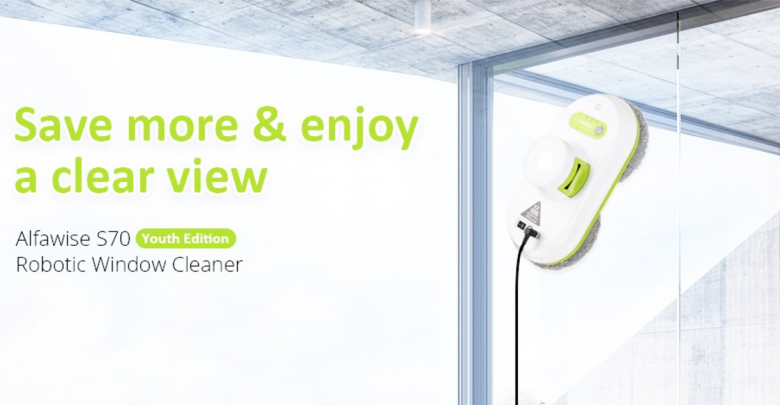 The cleaner hasHigh efficiency, cleaning 1 square meter twice in 3 minutes, 300 percent faster than manual work. 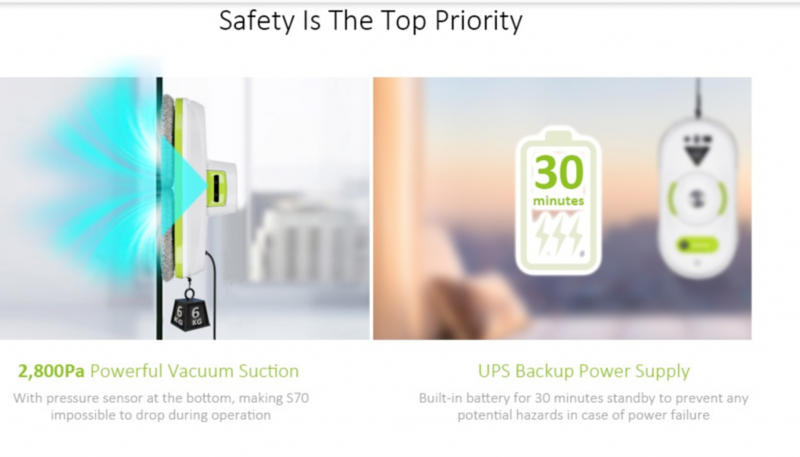 It has 2,800Pa powerful vacuum suction, and UPS system to prevent the window cleaner from falling in case of power failure. The device also comes with a 150kgf high-strength safety rope, 5.5m long to break the limit of height. 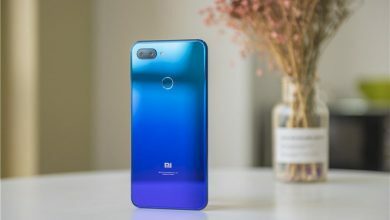 Powering the device is a LiPo ( built-in ) 650mAh battery, which would last for a very long time while on use, and it is also embedded with a built-in battery for 30mins standby to prevent any potential hazards in case of power failure.